Every time I mention the term “leaky gut syndrome” to a patient, they look at me and cringe. Rightfully so, as it doesn’t sound like something very appetizing. Unfortunately though, because I see a large number of patients with digestive disorders, I tend to evoke the cringe response fairly frequently. Leaky gut syndrome is one of the most common digestive disorders. Very often leaky gut will be the last thing to occur in the digestive tract, after years of digestive issues and stress take a foothold. Fortunately, it can be addressed rather successfully through lifestyle changes. Leaky gut is when the intestinal lining becomes more permeable than it should be. That is, it allows substances to pass through the intestinal lining (into the bloodstream), that a normally functioning intestinal tract would not allow. The barrier between the intestinal cells are known as tight junctions. Damage to those areas is essentially the problem. And again, the result is that those junctions are no longer “tight” enough to hold back things that shouldn’t be “leaking” through. By the way, the “only” substances that should get through are fully-digested foods and fluids. In my experience, there is no one particular cause of leaky gut. It is basically the result of poor dietary choices, lack of sufficient digestive enzymes and/or hydrochloric (stomach) acid, food sensitivities/allergies, overuse of antibiotics, high levels of stress hormones, and/or an intestinal infection (bacterial, viral, parasitic, fungal, etc.). Essentially, it is the result of damage and chronic inflammation from any of the above mentioned (or more). So, what is the result? Well, any number of problems can result. And they can be very serious. As you know by now, the problem arises when microbes, toxins, and undigested food particles get released into the bloodstream. Once this happens, the immune system goes on red alert and decides that it needs to mount an attack on these foreign invaders. The result of this can be any number of symptoms (or conditions) such as: (new) food sensitivities, bloating, gas, intestinal cramps, fatigue, foggy-headedness, joint pain, chronic infections, adrenal stress syndrome, skin rashes, autoimmune disease, any gastrointestinal disorder, liver toxicity, and more. The list can become practically endless when looking at the interactions between the systems of the body. The first step in combating this syndrome is to address the cause of course. I touched on some causes above and here are some more articles related to those conditions: adrenal stress syndrome, food sensitivities, hypochlorhydria, and healthy eating. There certainly are targeted nutrients that help with this condition, especially the amino acid l-glutamine. This amino acid acts as fuel to the cells lining the intestinal tract and helps them to repair. You would most likely need to supplement this amino acid to get sufficient quantities to address leaky gut. Additionally, plant substances like aloe and deglycyrrhizinated (DGL) licorice can help to heal the gut lining. Other nutrients essential for intestinal cell production and growth may also be necessary. However, taking nutrients to help repair the lining of the gut will be futile until you address the major cause(s) involved. My article titled “Digestive disorders and the 4 R’s” goes through a comprehensive protocol of helping with most digestive conditions. The “fourth R” stands for “repair” which refers to repairing the integrity of intestinal lining. This condition can be quite debilitating if some of the worst-case scenarios result (e.g. : autoimmune disorders). And without repairing the lining of the gut, there will be a never-ending battle in many, many different conditions. any thoughts on what appears to be irritable bowel in a 6 year old? I am a fellow chiropractor, and have been to mr jeff bland’s seminars and all. my middle daughter is now having abdominal pain and gas/ bloating with almost everything she eats. stared in september, worsening. sometimes so bad she vomits – this has happened about 8 times. the vomit is only with severe episodes of pain and happens once, in isolation, not like a stomach bug. usually, esp since removing all dairy from the diet, she is just VERY gassy, in pain, farty, and has diarrhea alternating with normal bowel mmts. She’s on gluten-free, high fructose corn syrup-free, dairy free for the last two weeks, and little to no change. Ped. GI doc wanted to try her on zantac 75 mg BID and no change. all labs have been normal – blood and stool for h. pylori, c. diff, shigella, o&p, celiac, etc. the GI said low Hcl in a 6 year old was unheard of, that’s why he put on an antacid. this does not sit well with me. tried acidophilus (dairy-free), and no help. think we may need that 4 R program, but not sure how to go about it or what is safe/what is different for a 45 lb 6 year old child. any thoughts? thank you so much. This sounds a little tricky without knowing the history a little more and not being able to examine her. I might do another stool test, from a different lab. It’s possible that the lab you used wasn’t sensitive enough to pick up a problem. Also, I’d definitely consider imaging to rule out pathology or obstruction. I wouldn’t think low HCl at her age either, but I certainly wouldn’t think acid-blocker. As far as foods, I’d consider corn and yeast as possible suspects. And remember, she can definitely have a sensitivity to gluten without being full-blown celiac. The 4R program may be helpful, but I’d want to rule out more serious problems first. When it comes to dosing, I consider a 150lb person as taking a standard dose and then adjust down accordingly. So if 2500mg of glutamine is a standard dose, I’d use 800mg for someone 1/3 of that weight. 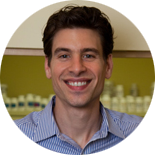 Great explanation of leaky gut Dr. D’Aquila. I get the same reaction from patients, and to be truthful with them, I have to admit that most health conditions have some component of “digestive dysfunction.” The modern diet really has wrecked havoc on our digestive tracts. I also find that the missing link in the 4R’s protocol is repair. Patients often come in and have done a wonderful job removing, replacing, and with some even re-inoculating. However, unless the repair happens, the framework of our digestive tracts will continue to remain leaky. Thanks so much for ‘breaking down’ leaky gut.